Dental diagnosis is an important part of treatment because it enables the dentist to properly address the patient’s dental issues. Some dental conditions occur as puzzles; and as healthcare professionals, dentists make use of obtained findings to be able to give the proper solution to problems. Puzzles are clues and every dental condition leaves a trail that may be resolved with the help of a good dental theoretical and practical education. In dental diagnosis, there are different tools used and the dental x-ray is a valuable example. A radiograph gives a three-dimensional picture of the exposed area. It goes beyond what clinical inspection is able to detect because it is able to take an image of the tooth and the underlying bone. The newest innovation in dental radiography makes use of digital x-rays. No need for films. Films are no longer necessary when a clinic makes use of digital x-rays. Naperville clinics that make use of digital technology can do away with the use of films which fade in time and becomes more costly to keep. No need for film developing and fixing. Since films are not used, there is no need to go into a dark room to expose films in developer and fixer. Even with a complex developing machine, this procedure is messy and tedious, so conveniently eliminating it is very helpful. Almost immediate image production. Digital x-ray exposures are directed to a monitor or screen. As soon as the image is taken, it is brought to the screen for the patient and dentist to see. Easy image manipulation. Dental x-ray images are viewed with screen or monitor, during which a dentist may find the need to manipulate the image: enlarge it, zoom it or focus it on a specific area to better see and diagnose the problem. Multiple image production. 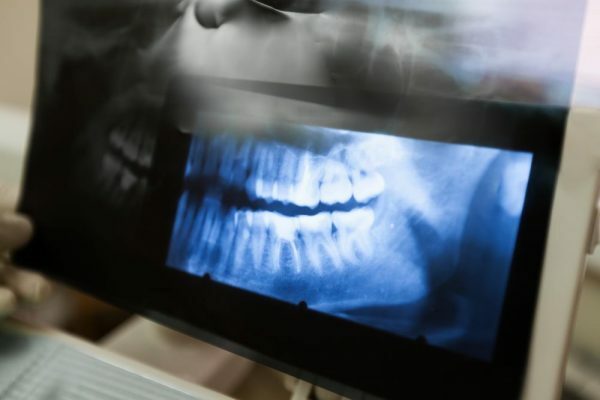 With traditional dental x-rays, you will need a double film exposure or to take images multiple times to get multiple copies, but with digital dental x-rays, Naperville dentists are able to produce more than one copy of a single exposure just as easily as digital photographs are created. You can request a copy of your x-rays and have them sent thru email. Low radiation exposure. While digital x-rays still require radiation to be able to produce images, very little of the harmful radiation is needed for an image, thus making it a healthier and safer option. Easy-to-use. Conventional dental -xrays are tougher to use. You need to put the film inside the mouth and complicate yourself with proper cone angulations to get a good image. A digital x-ray is simpler to use because the device is just pointed to the area of the mouth and the image may already be taken. There are a number unique features that one can enjoy with digital dental x-rays. Naperville patients are lucky that such technology is offered to them. Are Digital Dental X-Rays Better?